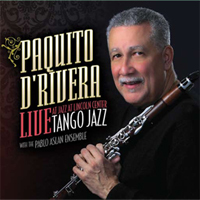 Paquito D’Rivera - alto and soprano saxophone, clarinet, bandleader, recording artist, composer. 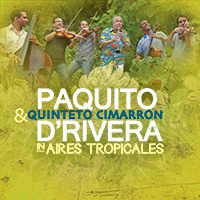 Paquito D’Rivera is a stellar example of the marriage of Latin American music and jazz. A Grammy winning, best selling artist with more than thirty solo albums to his credit, he is equally luminous on the soprano or alto saxophones, and clarinet. 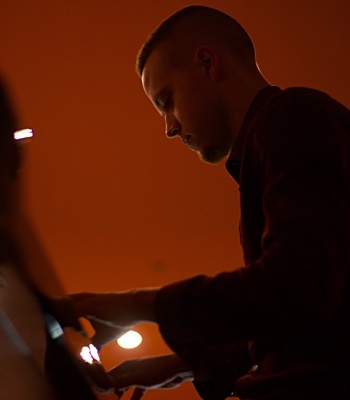 He is a genuine musical sophisticate with a broad span of endeavors and achievements. Born on the island of Cuba June 4, 1948, Paquito D’Rivera began his career as a child prodigy. 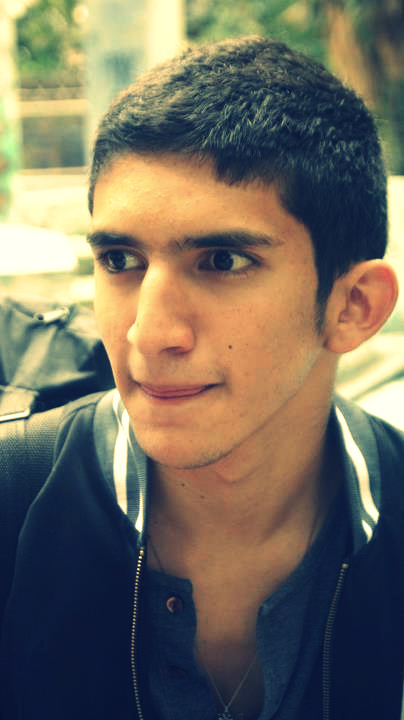 A restless musical genius during his teen years, Mr. D’Rivera created various original and ground-breaking musical ensembles. As a founding member of the Orquesta Cubana de Musica Moderna, he directed that group for two years, while at the same time playing both the clarinet and saxophone with the Cuban National Symphony Orchestra. He eventually went on to premier several works by notable Cuban composers with the same orchestra. Additionally, he was a founding member and co-director of the innovative musical ensemble Irakere. With its explosive mixture of jazz, rock, classical and traditional Cuban music never before heard, Irakere toured extensively throughout America and Europe, won several Grammy nominations (1979, 1980) and a Grammy (1979). Paquito D'Rivera's first recognition as a solo artist by the Grammy Recording Academy came in 1996 with the highly acclaimed recording Portraits of Cuba. Since then, Mr. D'Rivera has received numerous recognitions as an artist and composer. Recently, Mr. D’Rivera received his 8th Grammy for Best Classical Recording for the recording Riberas with the Buenos Aires String Quartet, and is a recipient of the National Medal for the Arts. 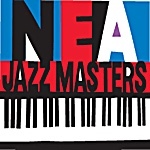 Additionally, D'Rivera was named one of the 2005 NEA (National Endowment for the Arts) Jazz Masters and most recently, he was honored in March 2007 with the Living Jazz Legend Award in a ceremony at the Kennedy Center in Washington, DC. He also won a Grammy for Best Instrumental Composition 2004 for his “Merengue” as performed by the distinguished cellist Yo-Yo Ma. In both 2004 and 2006, the Jazz Journalists Association honored Mr. D’Rivera as the Clarinetist of the Year. The National Hispanic Academy of Media Arts and Sciences paid tribute to Mr. D'Rivera with their Annual Achievement in Music Award. 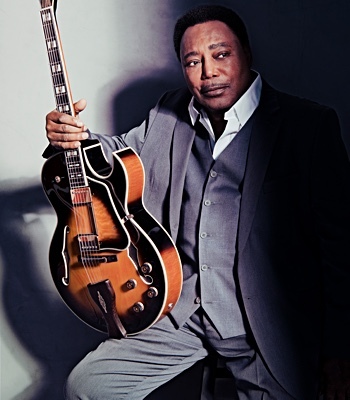 In May of 2003, he received a Doctorate Honoris Causa in Music, from the Berklee School of Music. In addition to his awards and recognitions, Paquito D'Rivera is the first artist to win Latin Grammys in both Classical and Latin Jazz categories (2003), for Historia del Soldado (L'Histoire du Soldat) and Brazilian Dreams with the New York Voices. In 2000, D'Rivera's Tropicana Nights received a Grammy. That same year, he received a nomination in the classical category for his Music of Two Worlds, featuring compositions by Schubert, Brahms, Guastavino, Villa Lobos, and Mr. D’Rivera himself. A 2001 Latin Grammy was awarded for his Quintet’s recording of Live at the Blue Note along with a nomination in the Classical Crossover category for The Clarinetist Vol. I. 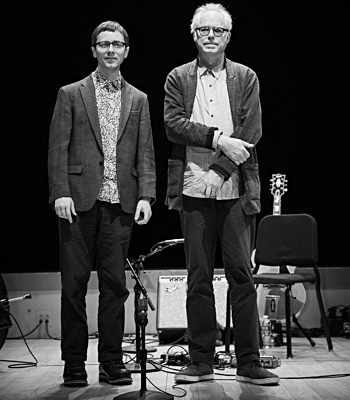 In 2002, he won again as a guest artist on the Bebo Valdes Trio's recording El Arte Del Sabor. While Paquito D'Rivera's discography includes over 30 solo albums in Jazz, Bebop and Latin music, his contributions to classical music are impressive. 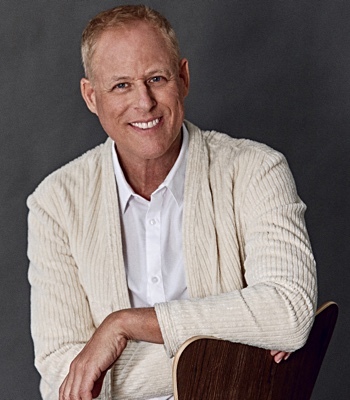 They include solo performances with the London Royal Symphony, the Warsaw Philharmonic Orchestra, the National Symphony Orchestra, the Baltimore Symphony Orchestra, the Florida Philharmonic Orchestra, and the Brooklyn Philharmonic. He has also performed with the Puerto Rico Symphony Orchestra, the Costa Rica National Symphony, the Simón Bolivar Symphony Orchestra, the Bronx Arts Ensemble, and the St. Luke’s Chamber Orchestra, among others. Additionally, D'Rivera tours worldwide with his ensembles: the Chamber Jazz Ensemble, the Paquito D’Rivera Big Band, and the Paquito D’Rivera Quintet. In 2005, he began touring with guitar duo Sergio and Odair Assad, in “Dances from the New World.” In his passion to bring Latin repertoire to greater prominence, Mr. D'Rivera has successfully created, championed and promoted all types of classical compositions, including his three chamber compositions recorded live in concert with Yo-Yo Ma at Carnegie Hall, September, 2003. 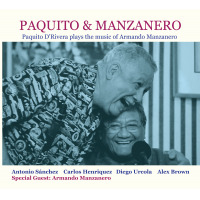 In addition to his extraordinary performing career as an instrumentalist, Paquito D'Rivera has rapidly gained a reputation as an accomplished composer. 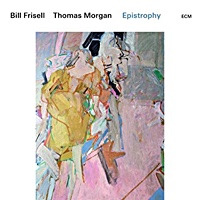 Recognition of his significant compositional skills came in 2007 with the award of a John Simon Guggenheim Fellowship in Music Composition, and the 2007-2008 appointment as Composer-In-Residence at the Caramoor Center for Music and the Arts with the Orchestra of St. Luke’s. 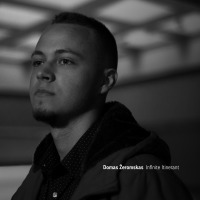 His works often reveal his widespread and eclectic musical interests, ranging from Afro-Cuban rhythms and melodies, including influences encountered in his many travels, and back to his classical origins. “Conversations with Cachao,” a new concerto for double bass and clarinet/saxophone pays tribute to Cuba’s legendary bass player and received its premier in June, 2007 at Caramoor. Inspiration for another recent composition “Three Poems from the New World” came from the writing of Fortunato Villarrondo, José Mart�-, and Dana Gioia. The three poems explore themes of societal struggles regarding racial intolerance, hate, injustice, and the appreciation of friendship, love, and life. 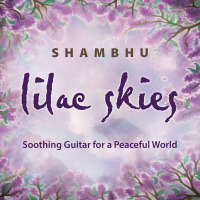 The work was commissioned and premiered by the Chicago Chamber Musicians at the Grant Park Music Festival in June, 2006. Another recent commission came about through ensemble Opus 21’s interest in building bridges between audiences of different backgrounds. Dedicated to the works and art music of the 21st century, Opus 21 commissioned “The Chaser” and premiered it in May, 2006. In 2005, Imani Winds, a woodwind quintet committed to the exploration of diverse world music traditions and the broadening of the traditional wind quintet literature, commissioned “Kites.” This work personifies freedom and the vision that liberty and independence have a foundation through culture and music. Just as a kite may fly freely, its path continues to be bound to the earth—its foundation, by the string. In 2002, the National Symphony Orchestra and the Rotterdam Philharmonic, commissioned Paquito D'Rivera to write a wind concerto entitled “Gran Danzón” (The Bel Air Concerto) for acclaimed flutist Marina Piccinini. The premier was conducted by Leonard Slatkin at the Kennedy Center. The Baltimore Symphony and Ms. Piccinini recently presented the concerto at Alice Tully Hall at Lincoln Center in April, 2006. Other premieres include commissioned works for the Turtle Island String Quartet, The Ying String Quartet, and the International Double Reed Society’s 30th Anniversary in Banff, Canada. A 2002 Library of Congress commission resulted in the “Jazz Fantasy for Piano and Violin” written for Regina Carter. Jazz at Lincoln Center commissioned D'Rivera's “Panamericana Suite” for their “As of Now” series in 2000. It was premiered and recorded by National Public Radio. Mr. D’Rivera is Artist in Residence at the New Jersey Performing Arts Center (NJPAC), and serves as a member of the board of directors of many influential artistic organizations in the United States, impacting both classical and jazz musical idioms. For ten years, Mr. D’Rivera has been Artistic Director of the famous world-class Festival International de Jazz en el Tambo in Uruguay. Guest musicians there have included such luminaries as McCoy Tyner, James Moody, Phil Woods and many more. Since his first recording as leader in 1981, Paquito D’Rivera has recorded over thirty albums at a steady clip of one per year. 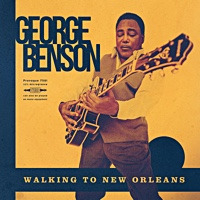 His latest release is “Funk Tango” (Sunnyside Records), and was released in 2007. He does not intend or appear to slow down on his abundant productions. 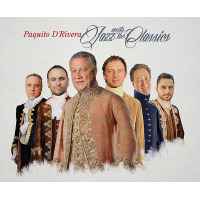 Paquito D'Rivera's "Jazz Meets The Classics" Out On Aug. 5th! 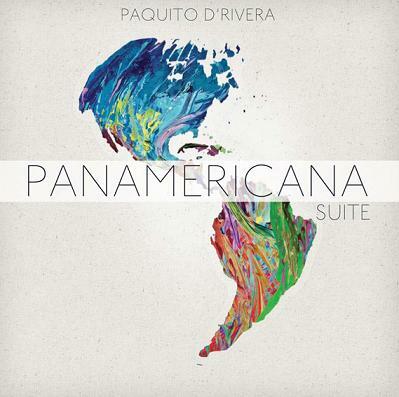 Paquito D'Rivera's "Panamericana Suite" (MCG Jazz) Available Now! All About Jazz musician pages are maintained by musicians, publicists and trusted members like you. Interested? Tell us why you would like to improve the Paquito D'Rivera musician page.